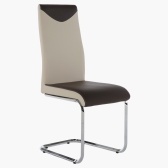 Add a modern and appealing touch to your dining room with this classy dining chair. 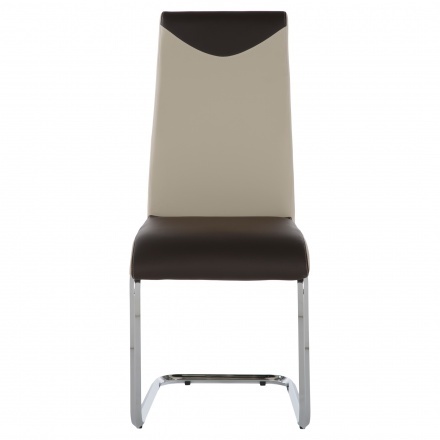 Sporting a metal base, this chair is upholstered in faux leather and is cushioned for comfort. The dual-tone and stitch detailing on the seat adds charm to the piece that is sure to match all kinds of decors. 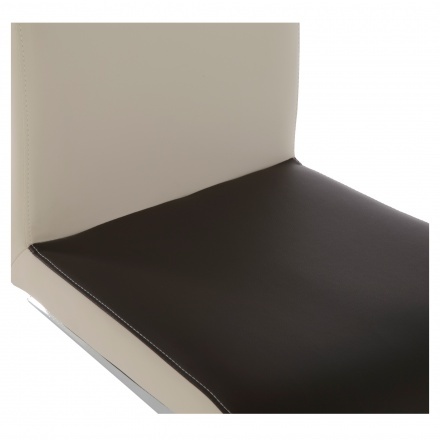 The design on the legs are constructed to save space as well as lend added comfort.